The Hanging Stool was inspired by working at a standing desk. Research shows it is ideal to switch between sitting and standing throughout the day. The design was born out of the action of quickly transforming an entire workspace to reflect standing or sitting, and the need within that to rid the space of often bulkier office chairs. 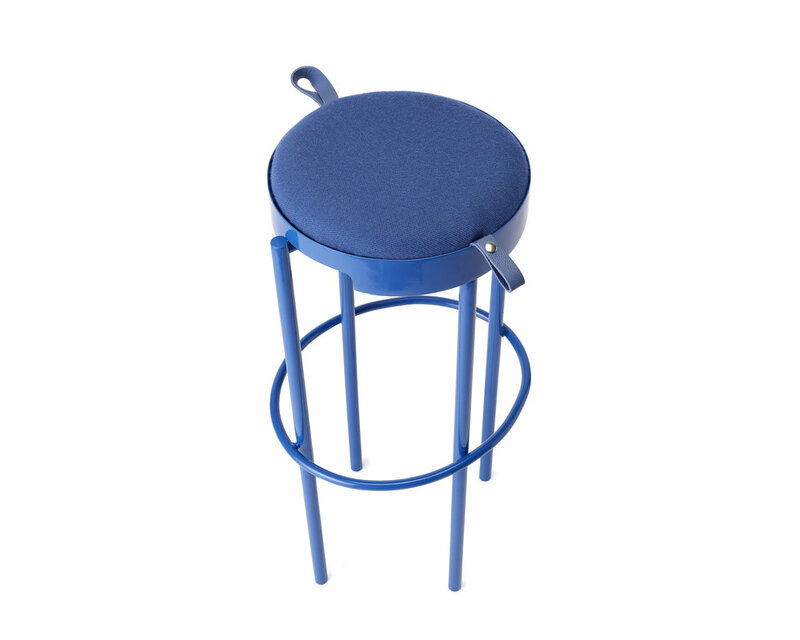 As we developed the stool we found it works well for small space living too allowing someone to quickly transform a room to their needs. The monochromatic seat folds up and the circular seat folds down to meet with the elliptical brace to create a visually interesting wall hanging. The Hanging Stool is a self-initiated project from Leadoff Studio, on display at Launch Pad at Wanted Design.